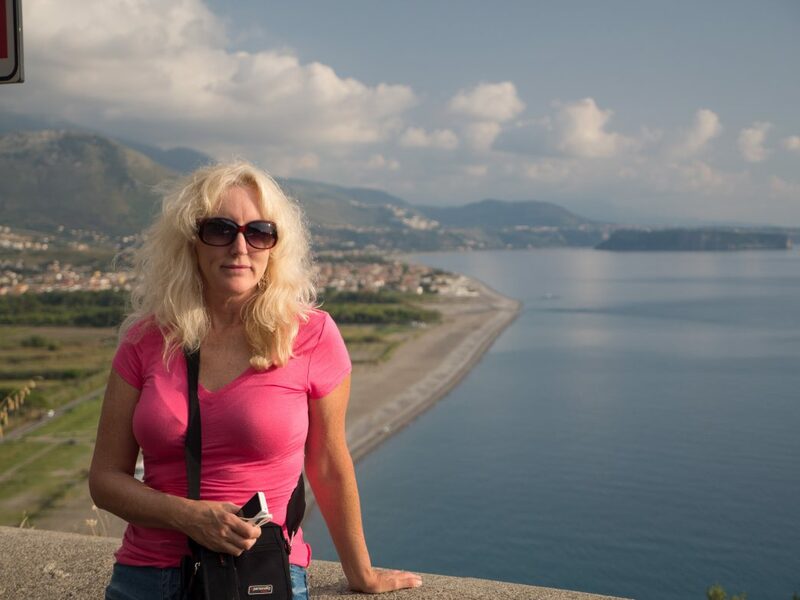 On the Tyrrhenian coast and overlooking the Gulf of Policastro in Southern Italy, Maratea is known as “The Pearl of the Mediterranean” in some of the guidebooks I’ve read. 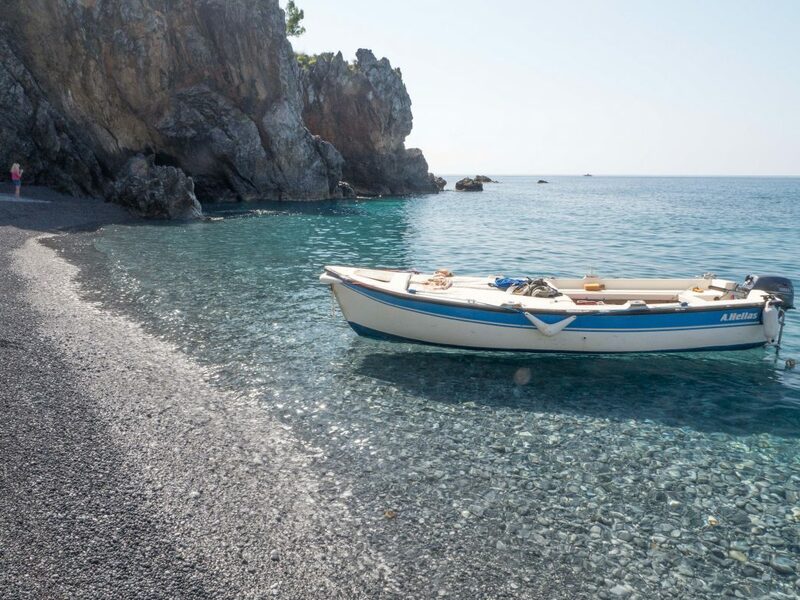 It’s somewhat of a hidden gem; well-covered in many tourist guidebooks as a holiday spot, it’s much less visited compared to the popular mass-tourist destinations along the Amalfi Coast just a couple of hours north. 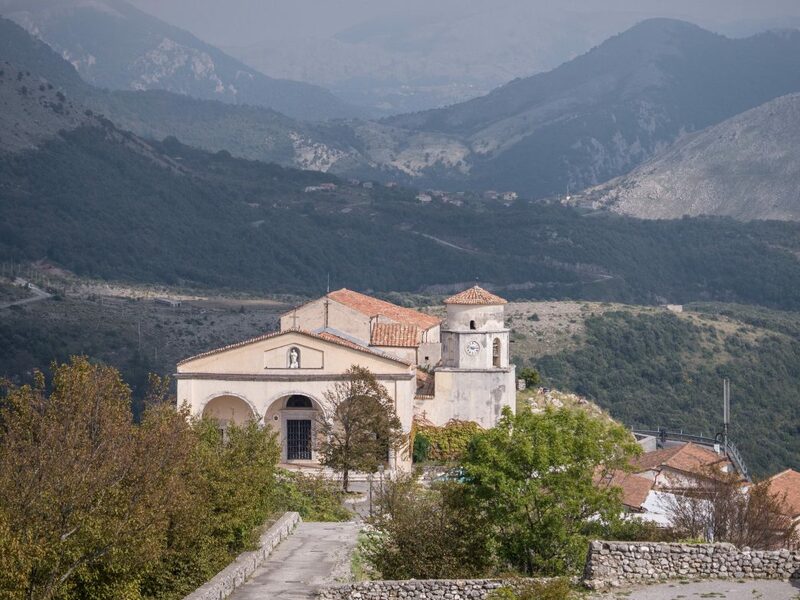 Chris and I were both intrigued to learn more about Maratea and decided to check it out. 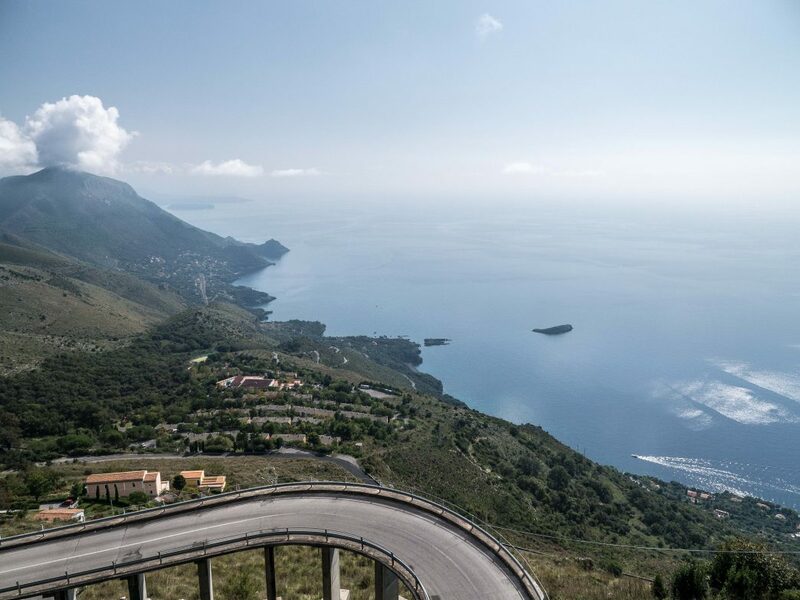 On a beautiful warm September morning, we left our apartment in Santa Domenica Talao to take the short 40-minute drive up the SS18 to Maratea. 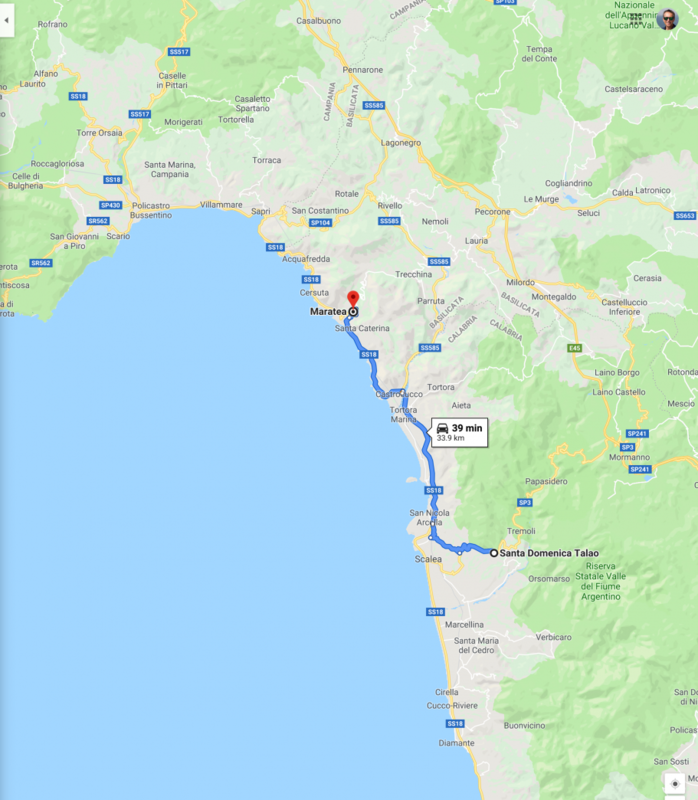 Close to Maratea, we noticed an exit sign to a beach area, so we proceeded down to a small parking lot and took a short walk to a beautiful secluded beach. 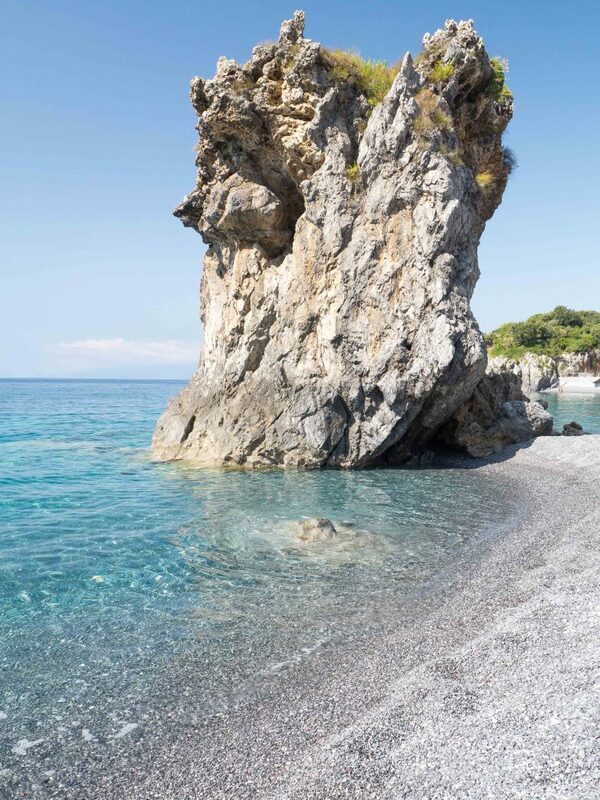 We virtually had the entire beach to ourselves, and loved the crystal-clear waters and the surrounding vista of the Gulf of Policastro. 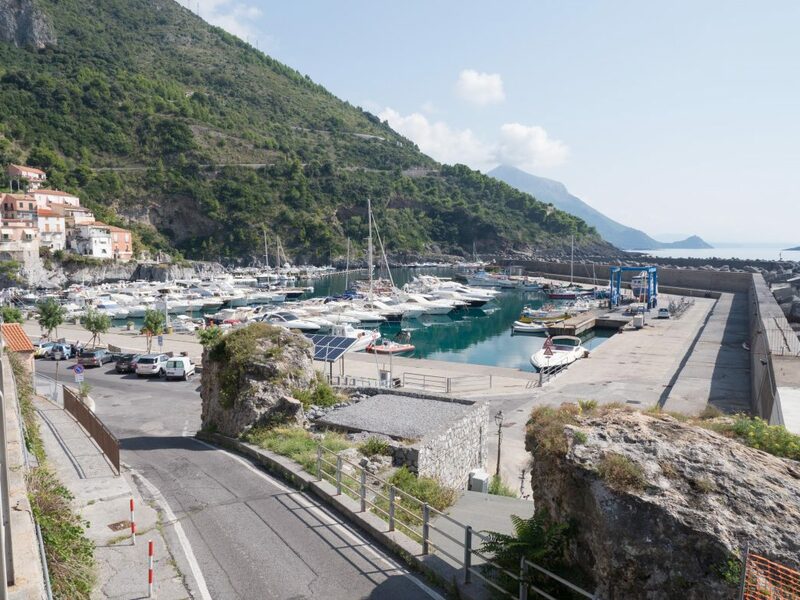 The SS18 then took us right to the Porto Turistico Maratea, or Maratea tourist port. We enjoyed a delicious seafood lunch on an uncrowded outdoor deck overlooking the tranquil marina. 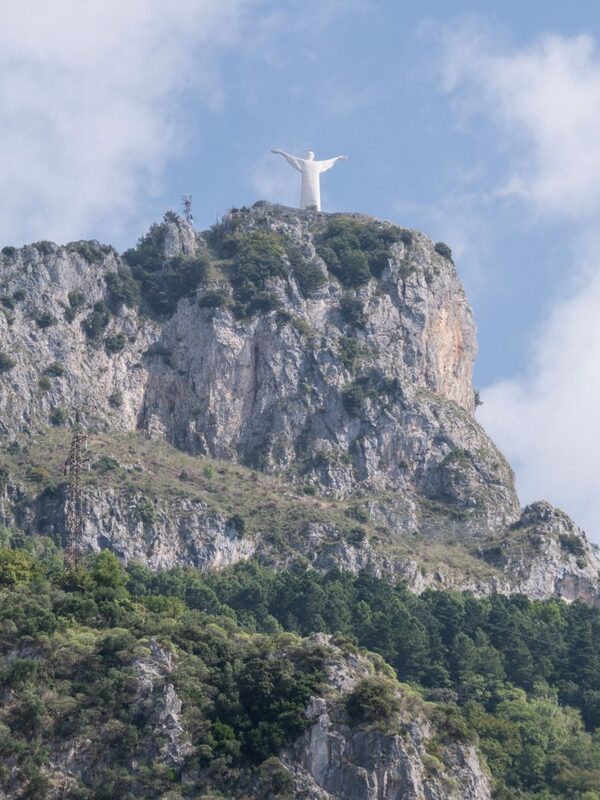 We couldn’t help noticing a large white statue, with outstretched robed arms, high on a hilltop overlooking the marina. This is the Statue del Cristo Redentore, or statue of Christ the Redeemer. It’s 21 meters high, and was created by the Florentine sculptor Bruno Innocenti out of Carrera marble in 1965. It’s the fifth-tallest Christ statue in the world. Gazing at the statue over lunch, we decided we needed to get a closer look. From the marina, we followed the signs that eventually took us to the top of Mt. 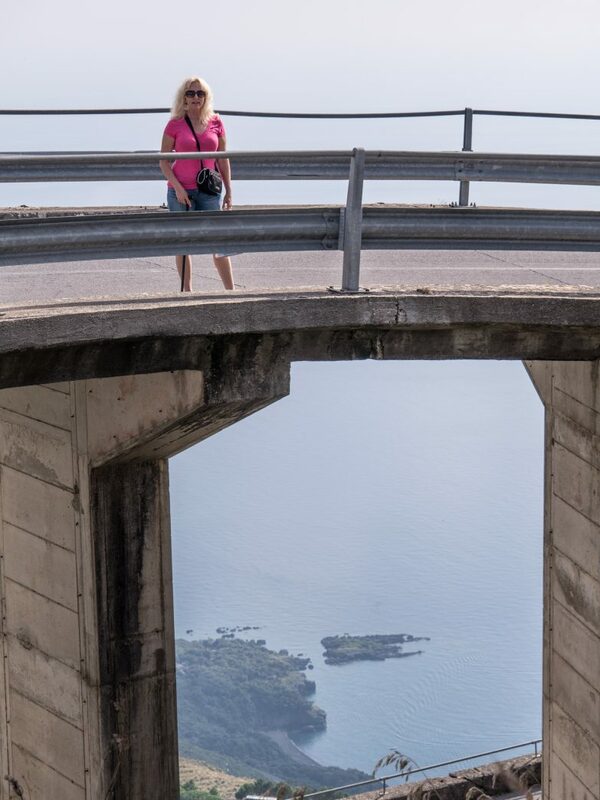 St. Biagio along an elevated serpentine road high above the coastline. 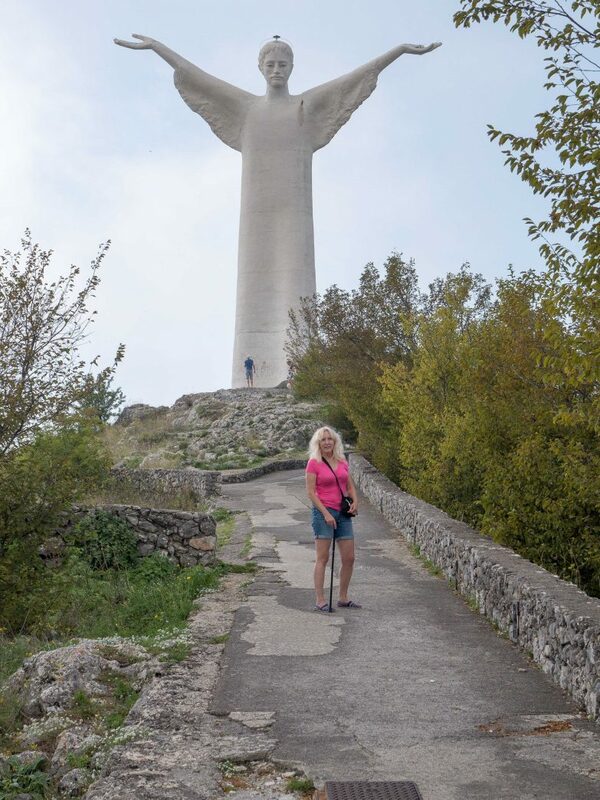 As we approached the statue from the front, it seemed to welcome us with outstretched arms. Once we got close to the statue, we could see what a majestic work of art it is. 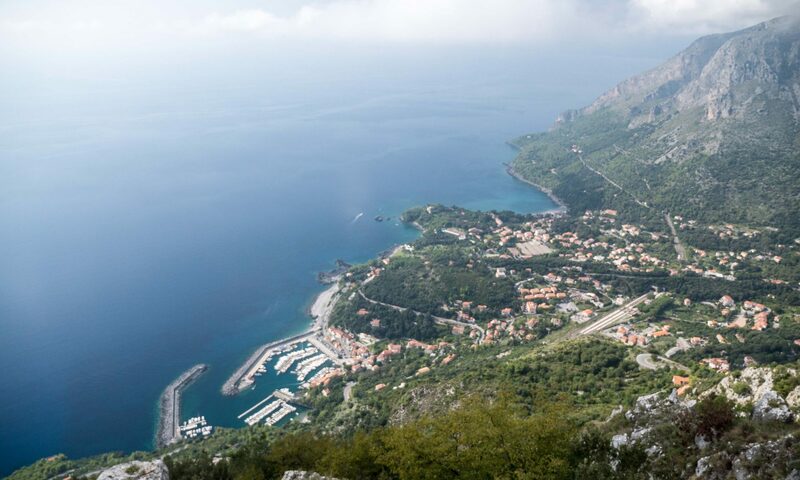 Walking along the path leading up to and around the statue, we treated ourselves to some breathtaking views of Maratea and the Gulf of Policastro far below us. Level with the clouds, we felt as if we were soaring above the Tyrrhenian coast below us. 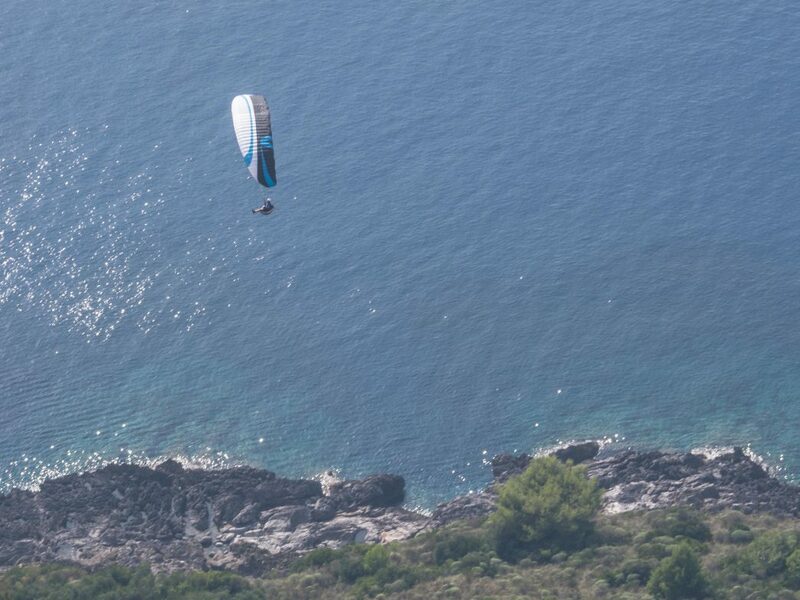 Indeed, far below us we noticed a paraglider truly flying over that coast! 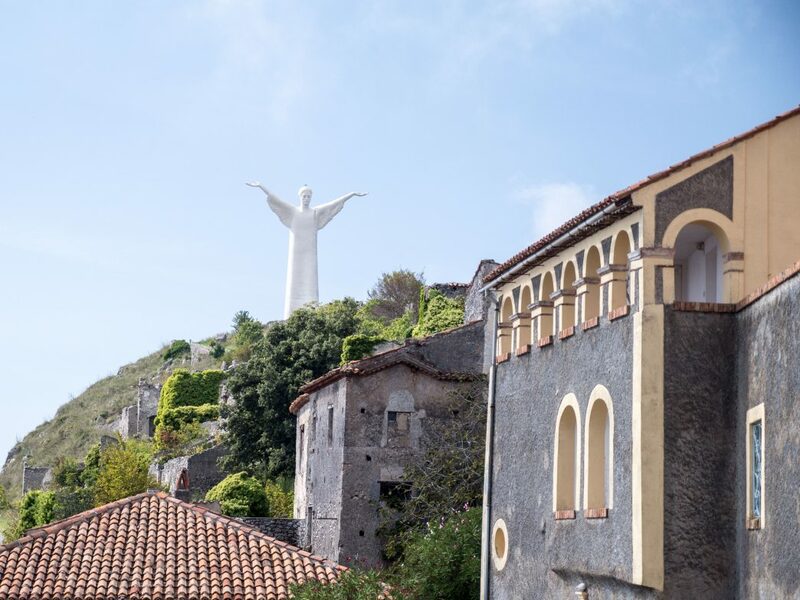 Directly in front of the statue is the Basilica di San Biagio, named after Maratea’s patron saint that it’s dedicated to. This church is thought to stand on the site of an ancient Greek or Roman pagan temple. There was one more part of Maratea that we needed to see and that was the borgo, or old village. 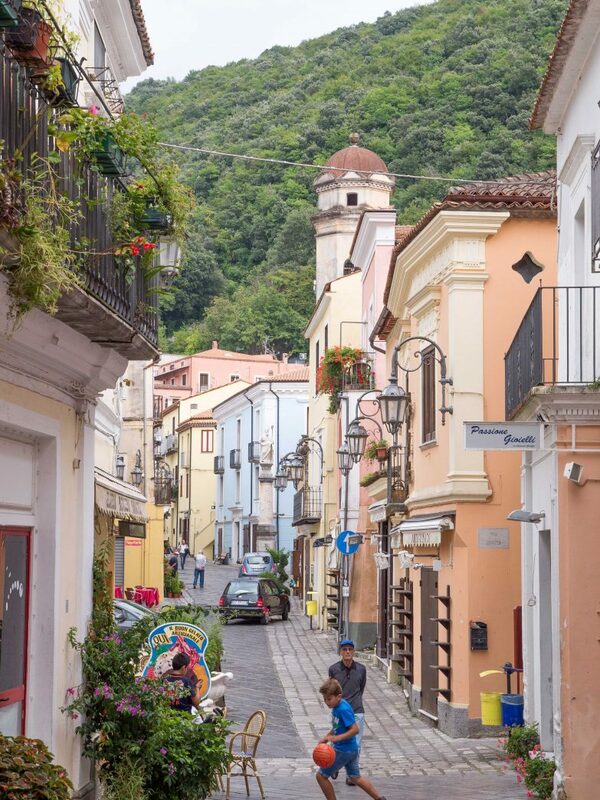 It’s a beautiful, colorful village, nestled up in the hills just above the marina. It felt very peaceful and quiet there in the late afternoon. Driving back to Santa Domenica Talao along the SS18, we stopped to take one more look at the Gulf of Policastro in the setting sun. 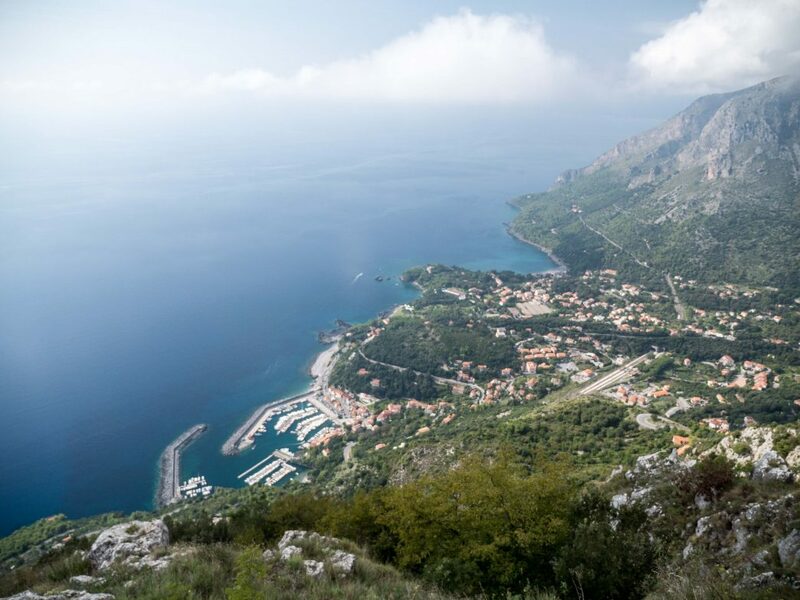 With its beautiful beaches, marina, old town, and a giant marble Christ statue towering over it all, Maratea is an impressive village that truly deserves its title of Pearl of the Mediterranean! Previous PostPrevious Your Bags Were Snatched in Rome? Don’t Panic! Do This! Next PostNext The Power of Cruise Groups!